Scott Willis is one of our contracts managers. He was initially trained by Adam Jones as an operative, before he progressed to a highly competent supervisor. 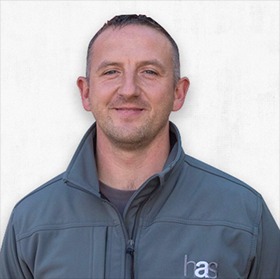 Scott was ‘hand-picked’ by HAS as we began to grow as someone we identified as having the same commitment to quality and safety as HAS’s directors. HAS have invested in Scott and he has recently completed his contracts manager course.